Completion of Stage 2 + 3 of the Minda Master Plan at Brighton is a significant achievement for all stakeholders. Construction spanned over 18 months with extensive prior planning, to successfully culminate in the delivery of a high quality, integrated, affordable, sustainable urban village. President of the Board of Minda, Susan Neuhaus, says the Minda Master Plan is the biggest project in their 120-year history. “Stage 2 of the Master Plan represents a $95 million commitment and includes our lifestyle precinct which offers a range of learning and lifestyle programs. 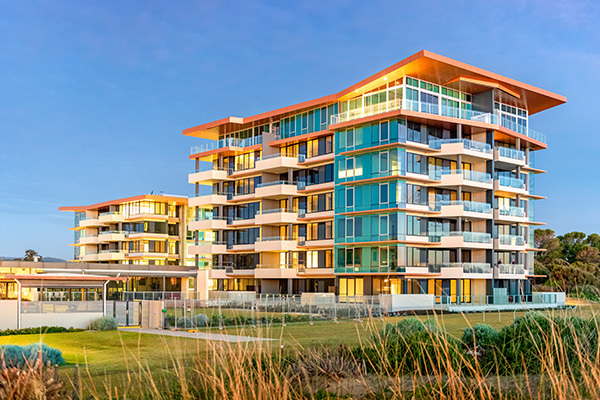 Accommodation in Stage 2 includes 18 single-storey houses and two three-storey residential apartments buildings that combine the comforts of home with leading-edge technologies and a contemporary model of service delivery”. The successful delivery of large scale projects require careful planning, budget management and an innovative construction approach but most importantly, it is the people behind these processes that drive success. Collaboration and commitment to working together to achieve outcomes makes all the difference when working with large site teams of up to 250 people. At Sarah Constructions, a commitment to people first and a serious focus on robust communication channels to support this, is at the core of how we do business. Ben Layley, Sarah Constructions Senior Project Manager, has worked in senior roles on other larger projects, however Stage 2 + 3 of the Minda Master Plan was the largest project that he has managed. “My leadership and management skills have developed over the two years managing this project. It was a transition for me to step back and manage the big picture, not the day to day running of the site. A key to this was delegating to other key players, releasing the reins and trusting they will deliver. As a leader you want to be approachable but not a pushover, and through regular communication maintain positive relationships with a client focus” said Ben. Sarah committed a large project team to manage the complexity of this project. Spreading across 100 acres, works were located across a large physical area and across many different fronts at once. With 250 trades people on site at the height of construction, across 25 individual buildings, the Sarah project team peaked at 30 staff to manage this. “Procurement was well planned and regularly reviewed to ensure the correct engagement of trades throughout the project. We held regular site meetings, to collaborate across the team in order to ensure we weren’t overloading certain trades or certain people” said Ben. A key driver for Minda Inc in Stage 2 + 3 was to ensure positive stakeholder relations were maintained through regular and informative construction updates. Located in a residential area, close to schools and other community spaces, it was important that local residents and the wider community were updated on potential impacts due to the construction process. “A specific client requirement was that we implement a Communication Management Plan, with a focus around external communications. This included how we would filter and receive feedback as well as how we would respond. Internally Minda set-up a communication working group, with a set focus to distribute building updates to their community and stakeholders. The Sarah team attended these meetings and proactively provided information. We had a strong focus on ensuring that the client interface was managed well” said Ben. Another important stakeholder group were the residents living in the Stage 1 facility of Brighton Dunes. The Sarah team initiated conversations with the residents early in the construction process to explain how the building works would unroll and impact them. “We made sure that the Brighton Dunes residents felt like they were involved in the construction journey. We had continuity of people working on site, the residents have gone on the journey with these people, they were faces they recognise and people they could talk to if they needed” said Ben. The project is part of a strong relationship that has been built between Sarah Constructions and Minda Inc. In collaboration with Minda, Sarah ran a program to employ residents in the construction process. From an initial work experience group of 15 people, 4 Minda residents were employed by Sarah for nearly 1 year. This experience helps residents to access future employment opportunities, through demonstrated work capabilities. Even after project completion, Sarah’s commitment to Minda and their outcomes for residents continues, with 1 resident from Minda offered contract work with the team at Sarah Constructions Head Office. “Minda are a great organisation; what they stand for and what they want to achieve is fantastic. 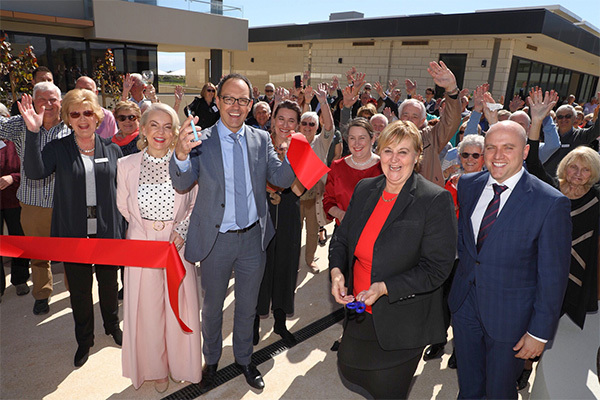 It has been an honour to play a part in delivering the most advanced disability support hub in South Australia” said Ben. The scope of this project covered construction of multiple different buildings including residential apartments, houses and community spaces, supported by a range of infrastructure and landscaping. For full details on the project, including outcomes delivered, click here for the project summary. We thoroughly enjoyed building a great relationship with Minda and are truly thankful for the opportunity to be a part of something much bigger than ourselves; improving the lives of those with disability.